Feel properly supported on our Chiropractic Explore mattress; the only mattress endorsed and recommended by the Canadian Chiropractic Association. The goal in our Chiropractic collection is to promote correct postural alignment and give you a healthier night's sleep. The Zoned Pocket Coils is thicker in the centre third to support your body where it needs it the most; where we carry 60% of our weight. The foam conforms to your curves to ensure all preassure points are being alleviated. With the Certi-PUR Certified Bio Foam, you can sleep soundly knowing the foam underneath you is safe and more natural. Lastly, the ViscoGel Memory foam surrounds to your shape and helps regulate your body temperature. Conveniently roll packed into a box for easy delivery and set up. Canadian Made, Canadian Owned. Climb aboard and let this mattress take you straight to dreamland with its comfortable support features. The Bonnell coil construction provides supportive comfort and durability offering years of long lasting use. High quality CertiPur-US foam ensures this mattress is certified for durability and performance, while the eco-friendly materials meet responsible environmental standards. Quilted fabric cover and foam above the coils offer a layer of cushioning at the surface for additional comfort, treat yourself to a more comfortable sleeping experience by added this quality mattress to your bedroom. This queen memory foam mattress features a multi-layer construction designed to give you a restful sleep every single night. Utilizing the newest sleep technologies, this mattress is supportive, breathable, and helps regulate your body temperature, all of which helps you achieve a restful sleep by reducing tossing and turning. This mattress is vacuumed sealed and rolled to fit through doorways and elevators. Offering six unique layers of comfort, the SGH-414-S mattress is a wise option for a restful night's sleep at a value added price! Our CorLiving mattress technology features 2 inch of body contouring memory foam in the top layer. This comfortable memory foam layer hugs your body and relieves pressure points enhancing deeper sleep with less tossing and turning. The 4 inch base layer provides a denser foundation of support and stability that reduces mattress movement. The complete foam mattress is wrapped in a woven zippered Aloe Vera infused fabric cover, soft and subtle for your skin. When properly cared for, our mattresses are guaranteed to hold their shape bringing you sweet dreams that last for years. Offering seven unique layers of comfort, the SGH-616-K mattress is a wise option for a restful night's sleep at a value added price! Our CorLiving mattress technology features 3.5 inch of body contouring memory foam in the top layer. This comfortable memory foam layer hugs your body and relieves pressure points enhancing deeper sleep with less tossing and turning. The 5.5 inch base layer provides a denser foundation of support and stability that reduces mattress movement while a 1 inch ultra-soft foam layer provides added comfort. The complete foam mattress is wrapped in a woven zippered Aloe Vera infused fabric cover, soft and subtle for your skin. When properly cared for, our mattresses are guaranteed to hold their shape bringing you sweet dreams that last for years. 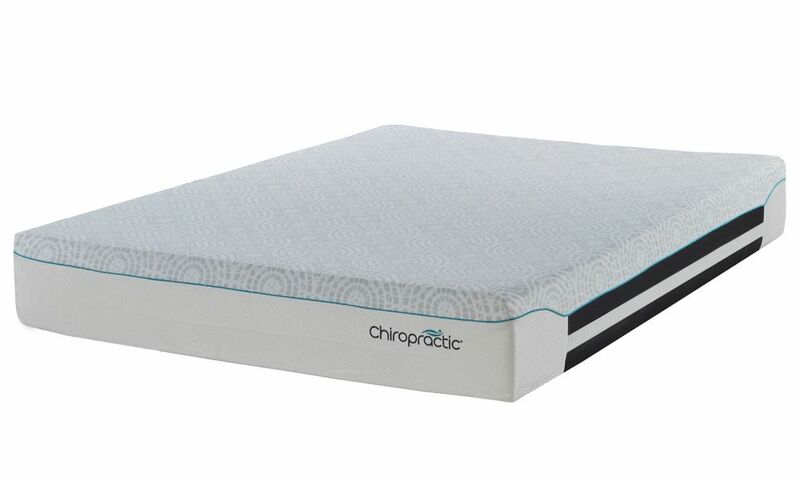 Chiropractic Explore Pocket Coil 11-inch Double Mattress Feel properly supported on our Chiropractic Explore mattress; the only mattress endorsed and recommended by the Canadian Chiropractic Association. The goal in our Chiropractic collection is to promote correct postural alignment and give you a healthier night's sleep. The Zoned Pocket Coils is thicker in the centre third to support your body where it needs it the most; where we carry 60% of our weight. The foam conforms to your curves to ensure all preassure points are being alleviated. With the Certi-PUR Certified Bio Foam, you can sleep soundly knowing the foam underneath you is safe and more natural. Lastly, the ViscoGel Memory foam surrounds to your shape and helps regulate your body temperature. Conveniently roll packed into a box for easy delivery and set up. Canadian Made, Canadian Owned.